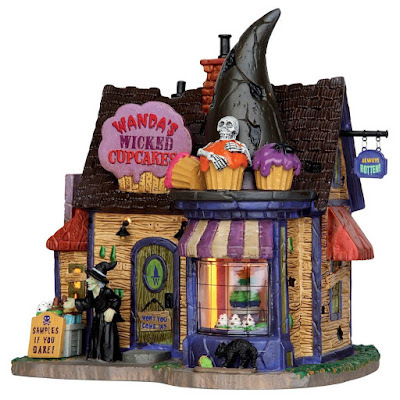 Haven't you always wanted to create your own Halloween village? Now you can with these brand new Spooky Town figures! These are all really clever and creepy buildings. Here is Lemax's collection of new Halloween village buildings for 2016. 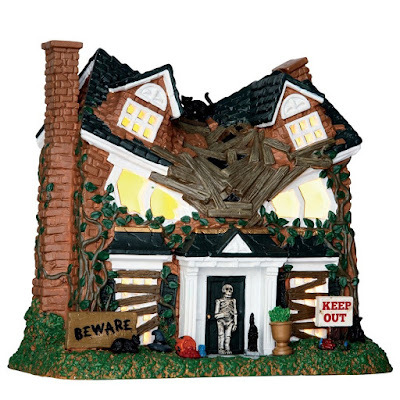 The buildings and figurines really bring Halloween alive - come take a peek. 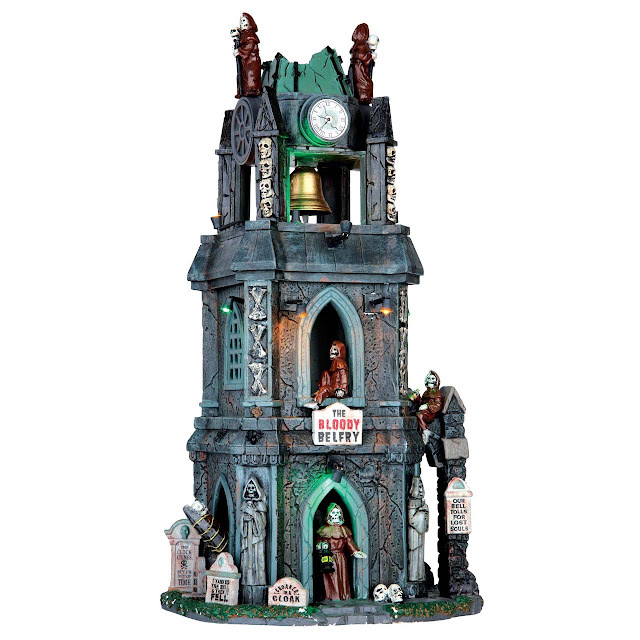 This is the creepy Bloody Belfry. I personally feel like bell towers are really freaky already! The grim reapers are clearly waiting for someone's death to happen. I love this Bump in the Night set. 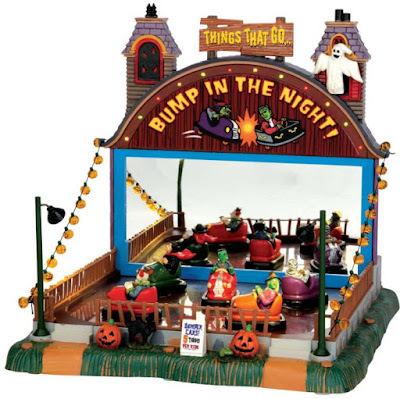 It features all your favorite monsters: zombies, witches, and mummies playing bumper cars. What a different experience it would be playing bumper cars with a zombie. Careful of the entrails! 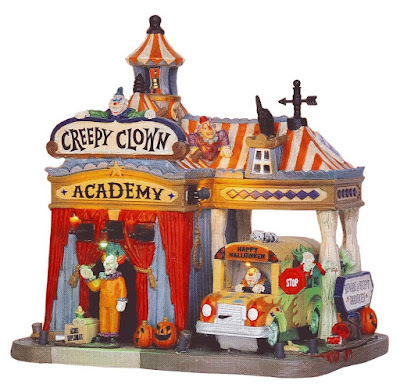 They don't lie, this really is a Creepy Clown Academy. I don't feel like there is anything scarier than a clown headmaster baring their teeth. Introducing Wanda's Wicked Cupcakes. Imagine all the curses and spells that are hidden inside these delicious desserts! What an ingenius way to lure people into your awful traps. This is the new Monster on Maple Street set. I feel like as a kid there's always that one house on that one street that only the most daring individuals go to. This Zombie Fortress has a lot going on! 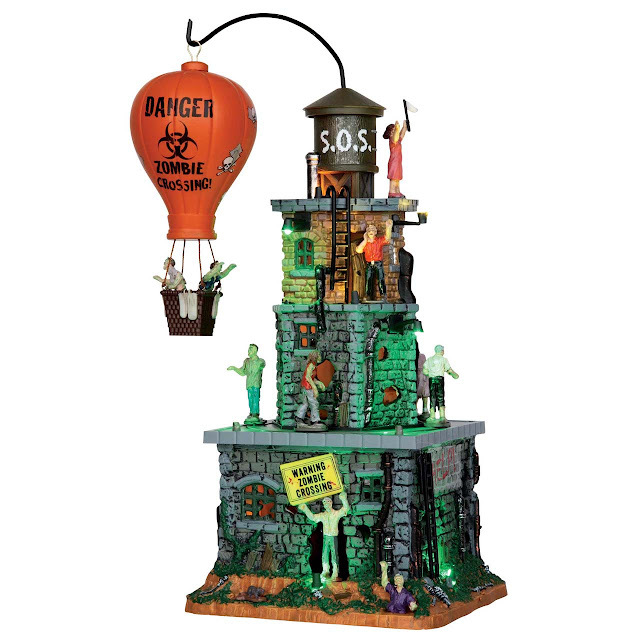 The balloon rotates around the fortress, and the zombies walk around the fortress as well. This building includes lights and sound. This is more adorable than it is scary. 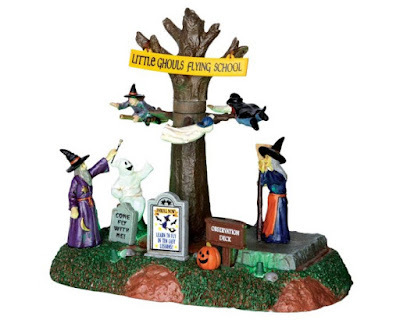 I like how happy everyone at the Little Ghouls Flying School is. Who says the undead can't enjoy their own picnic? 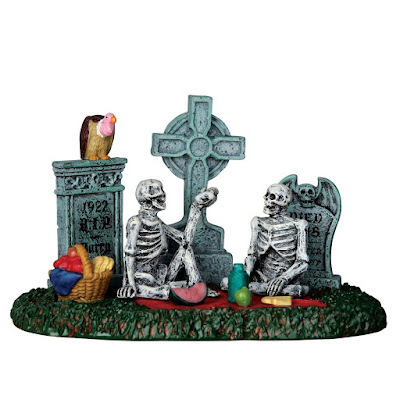 This Graveyard Picnic figurine shows these skeletons enjoying an ironically lively picnic at the cemetery. Can they even eat bread and fruit? This All Hallows Cathedral is super eerie, even for a Spooky Town. The looming gargoyles don't look like they're protecting the good - rather, the evil that lurks inside! I know there are a lot of hearse fans who read this blog! 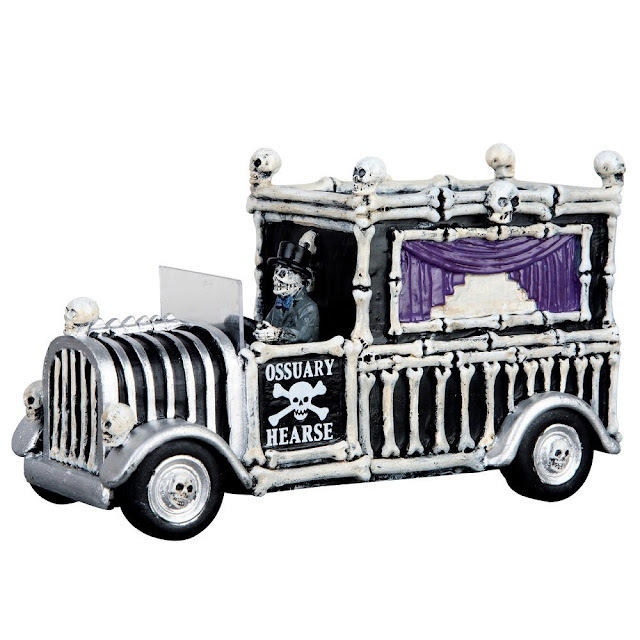 Here's Lemax's Hearse of Bones figurine, new for 2016! If you're looking for more from the Lemax Spooky Town collection, check it out on Amazon! 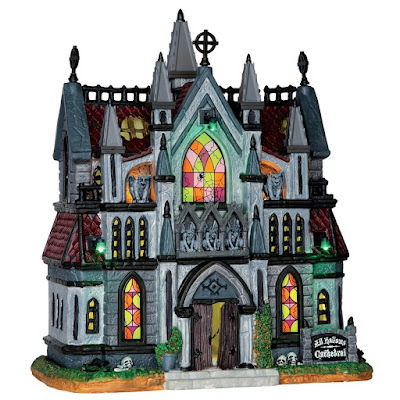 Wouldn't this be cool to display your Halloween village all year round? Tell me about it down below in our comments section.